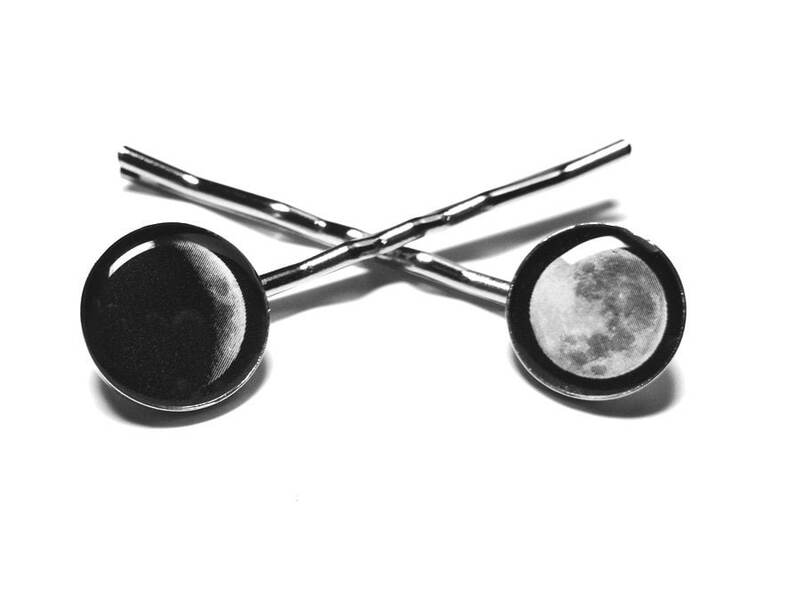 These neat moon phase bobby pins are made using only the finest resin in order to preserve and enhance the images. 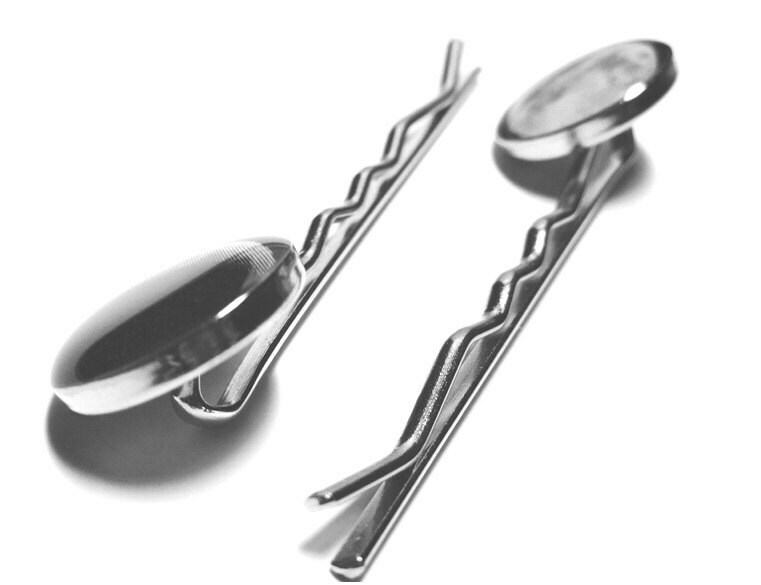 Specs: These bobby pins are 50mm long (2") and the bezels are 5/8" (14mm). 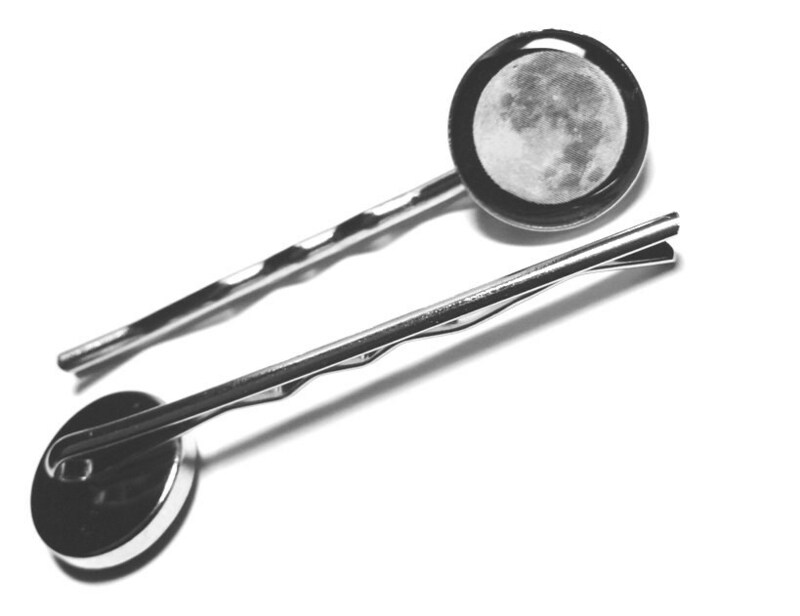 You will receive both pins pictured. 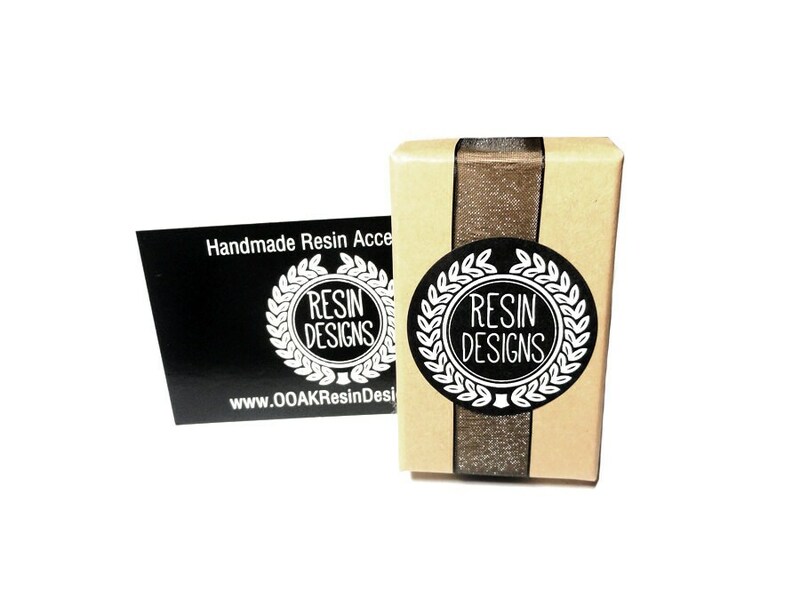 Your item will be packaged in a Kraft jewelry box with a black ribbon as shown. ► Love it and want to buy later? Click on the button that says "♥ Favorite"
► Want it now? Click the green "Add to cart" button. Lightning fast shipping and a beautiful item.... I shared with a friend and ordered another set immediately! Thanks so much.